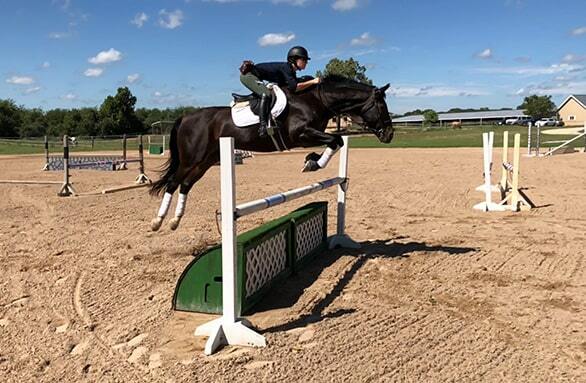 Our oversized outdoor arena provides a wealth of jump options for hunter and jumper courses. It has a newly constructed shaded viewing patio, and power for sound systems. 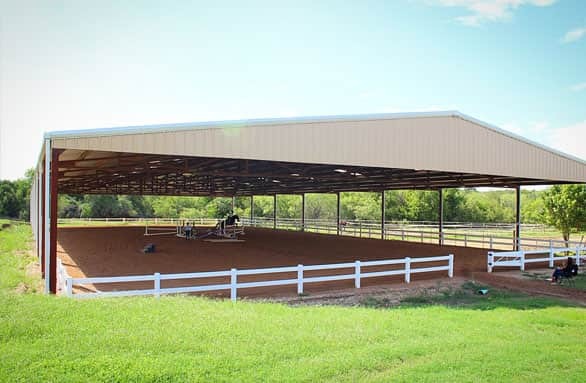 Finished in 2015, our covered arena offers protection from the elements when training, and a wonderful space for clinics and equine events. It is equipped with lightweight PVC jumps that are easily configured. 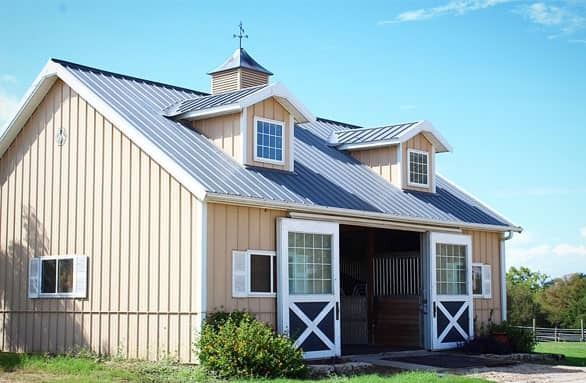 Our wonderfully equipped barns provides the utmost in comfort for our equine companions. Stalls are outfitted with a memory foam flooring system, and fans to keep our horses cool on the hottest days. Our tack rooms are climate controlled, and we offer on site laundry to keep your tack clean and neat. 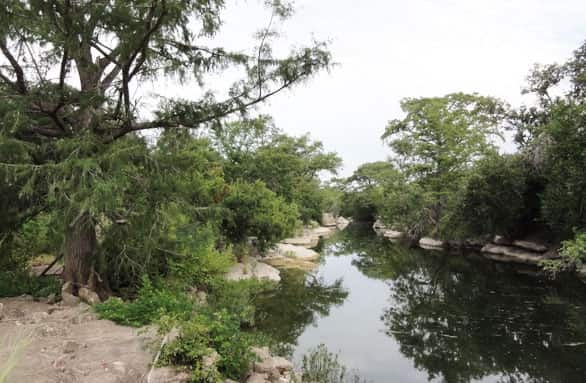 Our property provides wonderful opportunities to trail ride, stroll with a friend, or even catch a fish on a quiet afternoon. 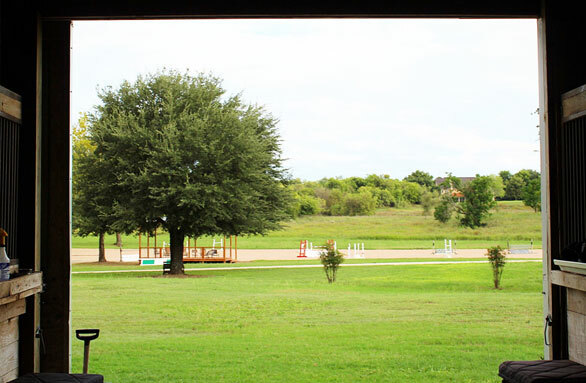 Monarch Stables invites your family to come and enjoy the amenities.